Back in the day (1993) when Wayne and I were dating, we used to think one day we would get married and move to Seattle. Why? Who knows! Maybe because we loved the constant rain, the green forests, the endless hiking trails or maybe just because Starbucks had just exploded in the stock market the year before, Nirvana was the rage, Microsoft… We were young and Seattle was hip in the 90’s! It wasn’t until 2003 that we finally set foot in The Emerald City. 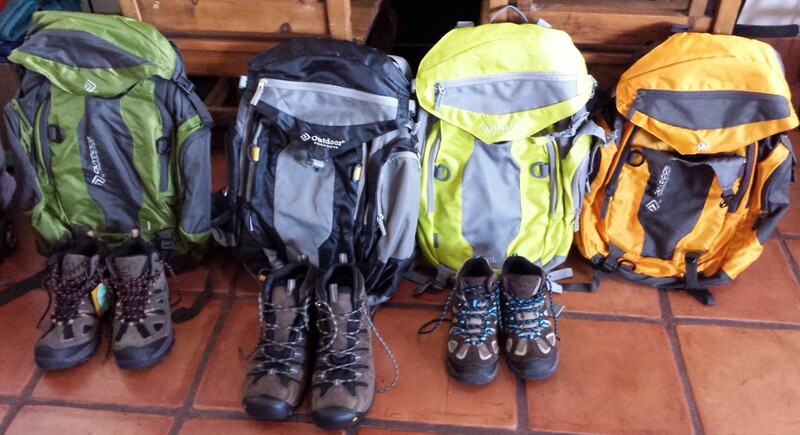 With a compact downtown area, you can walk to all the main attractions. We got our double stroller ready for our 1 year old Dante and our 2 year old Vincent and hit the streets of Seattle early in the morning. 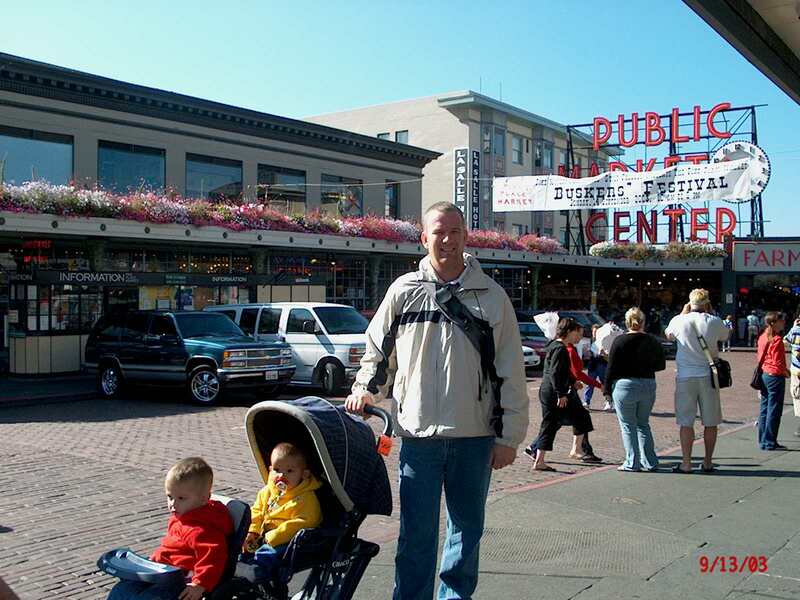 We grabbed a coffee at the oldest Starbucks in Pike Place (circa 1977) and headed to Pike Place Market. The Market opened August 17, 1907, and is one of the oldest continually operated public farmers’ markets in the United States. One of the Market’s major attractions is Pike Place Fish Market, where employees throw three-foot salmon and other fish to each other rather than passing them by hand. When a customer orders a fish, an employee at the Fish Market’s ice-covered fish table picks up the fish and hurls it over the countertop, where another employee catches it and preps it for sale. Very fun to watch. The boys enjoyed seeing the ‘flying fish’ and the crazy banter those guys practice on a daily basis. 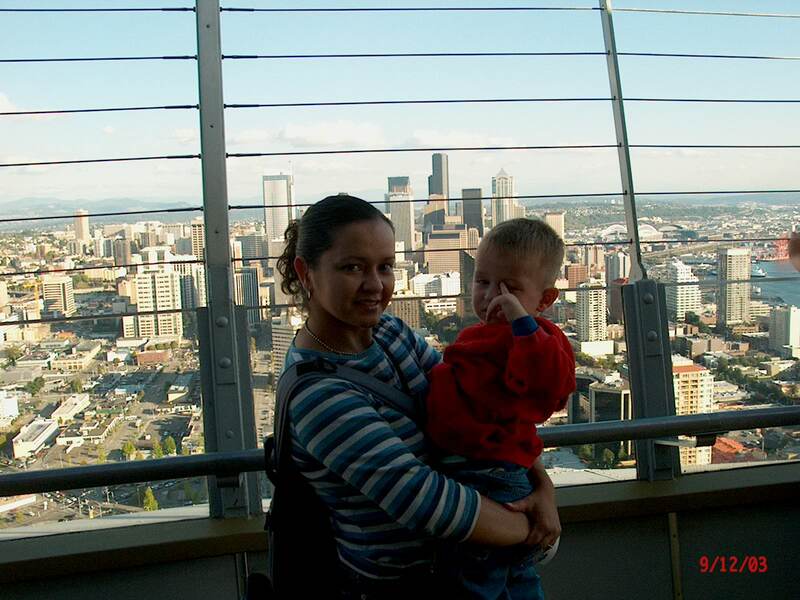 We then headed to the Space Needle. 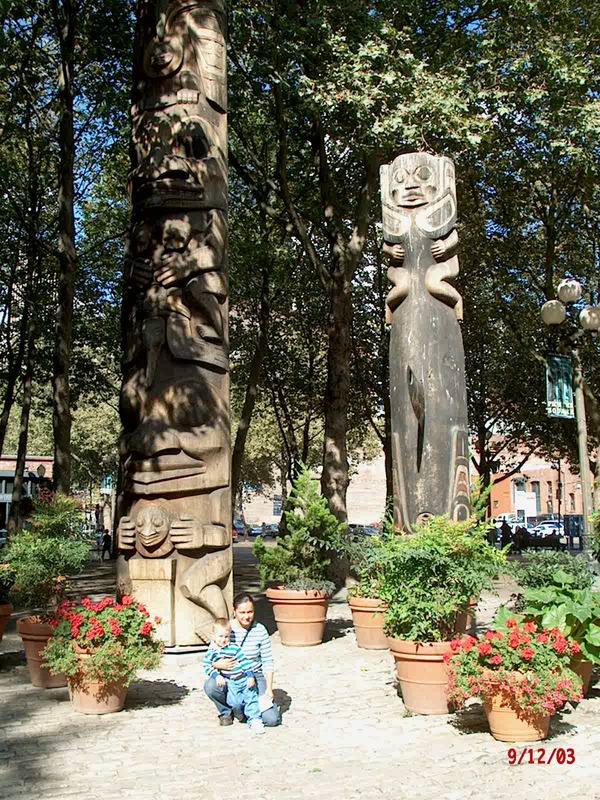 We strolled through trendy Belltown. Home to a mix of jazz and rock venues, pool halls, cafes, unique boutiques and thrift shops, this vibrant neighborhood also plays host to many of Downtown’s hottest restaurants, bars and nightclubs. As we approached the Space Needle, Vincent kept on saying that Buzz Lightyear lived there and asked if we were visiting him. Of course we said yes but warned him that, as he was now a movie star, he probably wasn’t home… He didn’t lose hope and was excited and looking forward to meeting the toy/astronaut. 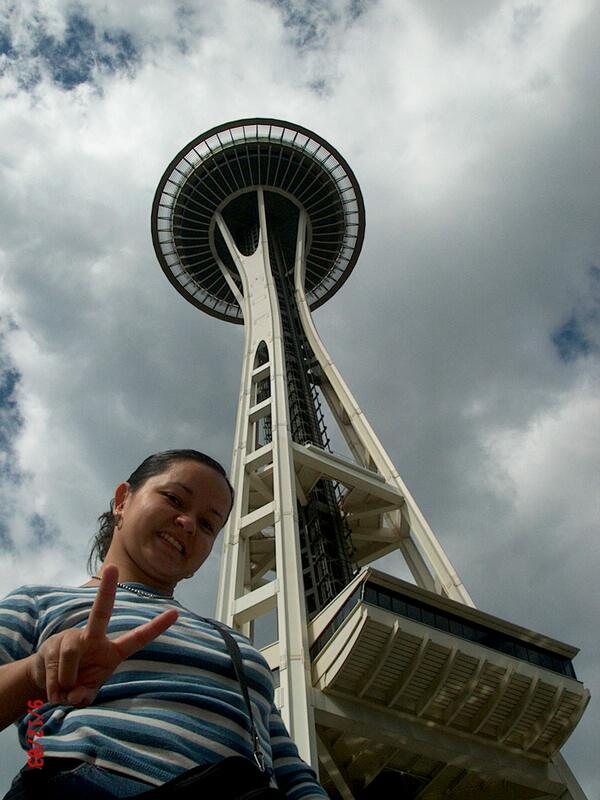 The Space Needle is the symbol of Seattle and a major landmark. It was built for the 1962 World’s Fair. It is 605 feet (184 m) high. 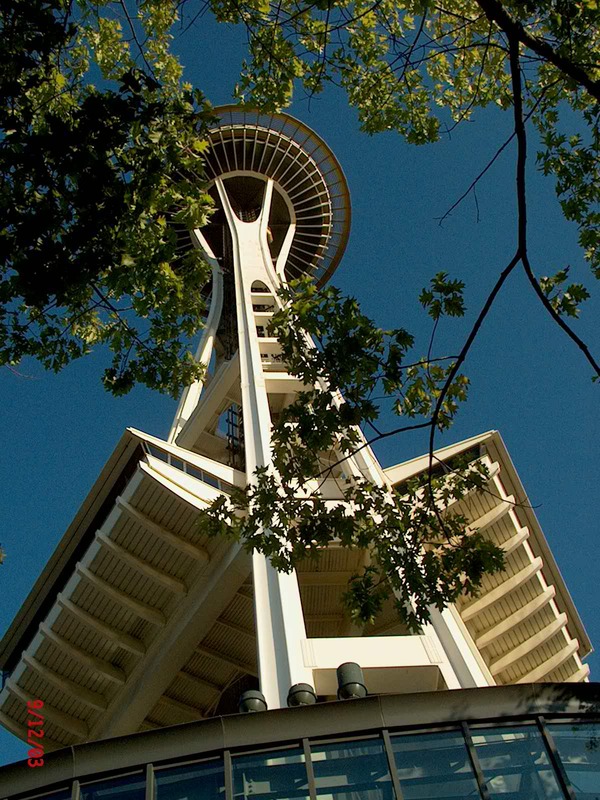 When it was completed it was the tallest structure west of the Mississippi River. Vincent was in such hurry to go up! But the inevitable bad news came and he wasn’t too happy about it. Right next to the Space Needle you will find the ‘Experience Music Project and Science Fiction Museum and Hall of Fame’, today known only as EMP. 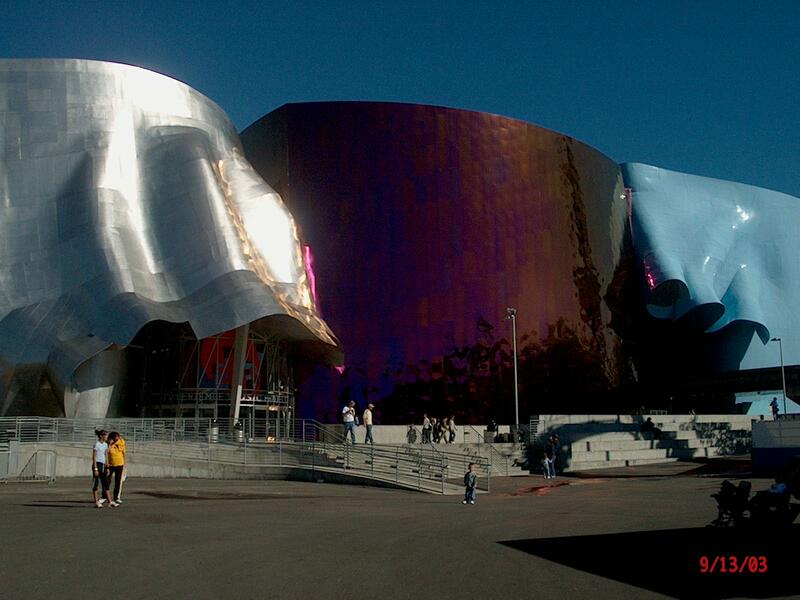 The EMP is a museum dedicated to the history and exploration of popular music, science fiction and pop culture. 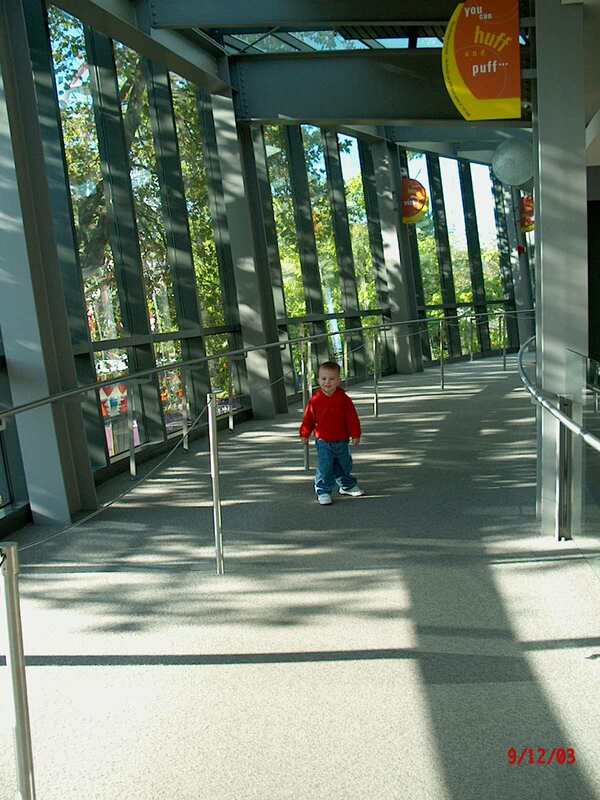 The Frank Gehry–designed museum building has the Seattle Center Monorail running through it. It was founded by Microsoft co-founder Paul Allen, and opened its doors in 2000. The people of Seattle told us that after 3 years they were still trying to decide whether they love it or hate it. We thought it was interesting and a little weird. Inside the exhibitions were ultra modern. The boys enjoyed all the color and sound. After the audio/visual overdose we took a break outside by the International Fountain. 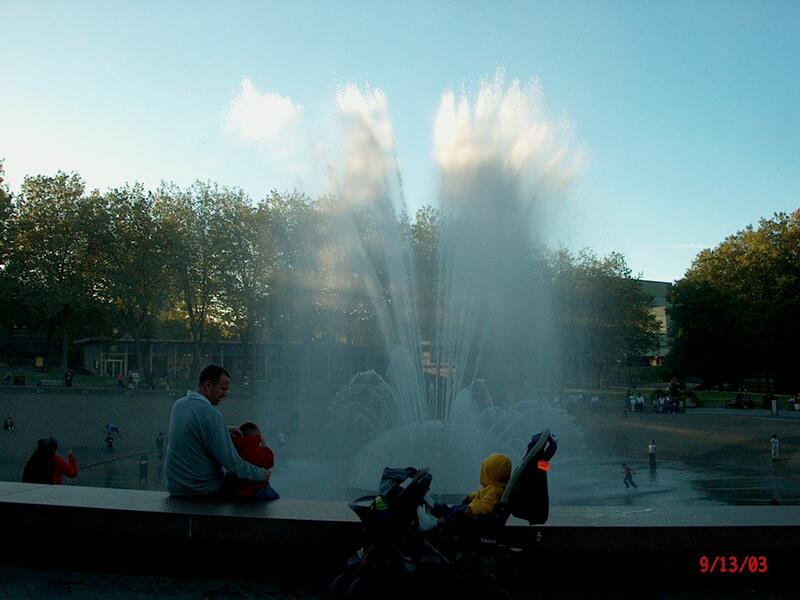 Built also for the 1962 World’s Fair, the fountain was built as a modernist water sculpture. With over 20 spouts, the fountain goes through programmed cycles of shooting water patterns, accompanied by recorded world music. 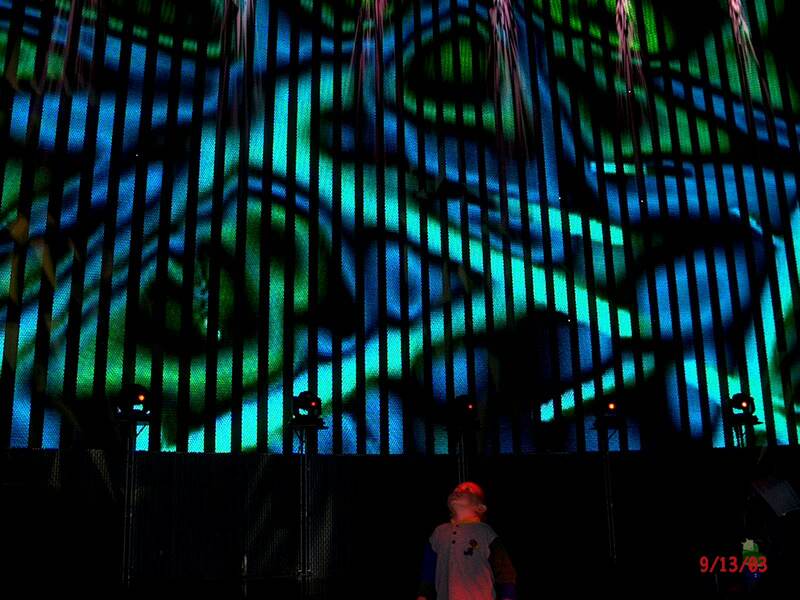 The music is changed every month, and chosen to coordinate with the water patterns. After lunch we explored Pioneer Square. Seattle’s founders settled there in 1852. The early structures in the neighborhood were mostly wooden, and nearly all burned in the Great Seattle Fire of 1889. 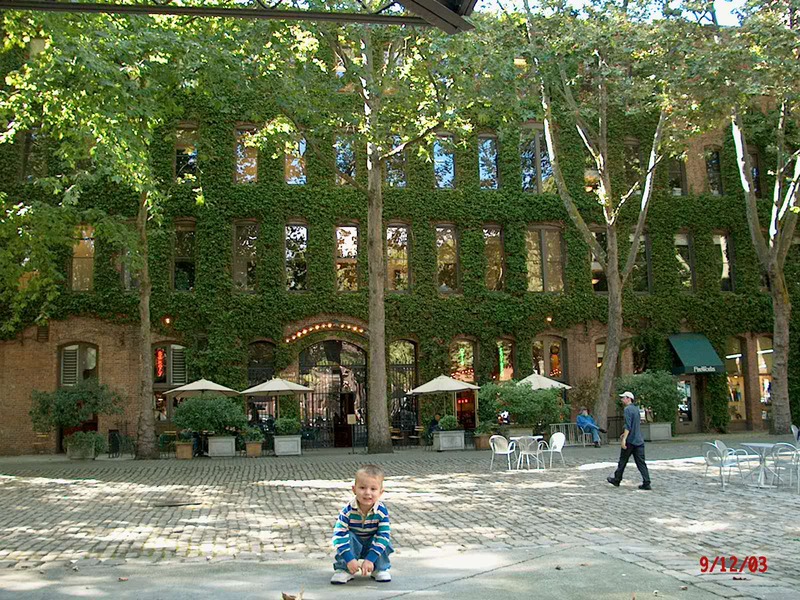 By the end of 1890, brick and stone buildings were erected there. Today, is home to art galleries, cafés, sports bars, night clubs and bookstores. 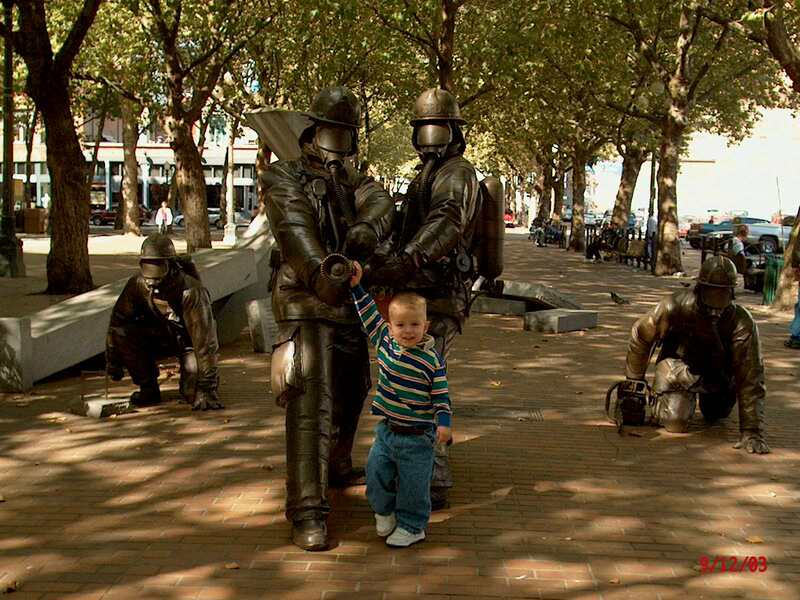 With our own fireman in the family, we had to see the Fallen Firefighter Memorial. 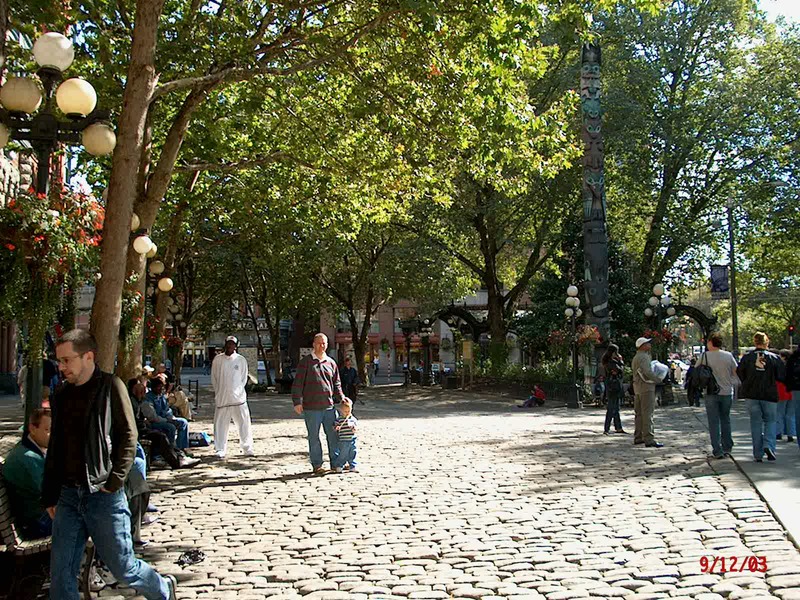 Each spring since 1989, on the weekend nearest June 6, the city has celebrated the Pioneer Square Fire Festival with a parade and display of antique and modern fire apparatus, demonstrations of fire fighter skills, food and craft booths, and a party. 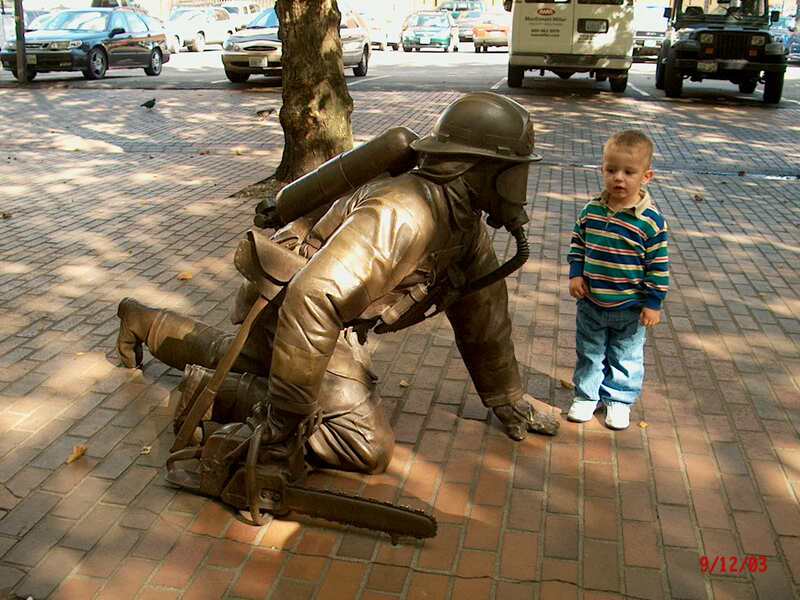 In 1998, the Fallen Firefighter Memorial was dedicated. No visit to any major city in the US of A is complete without at least walking by the baseball and football stadiums. 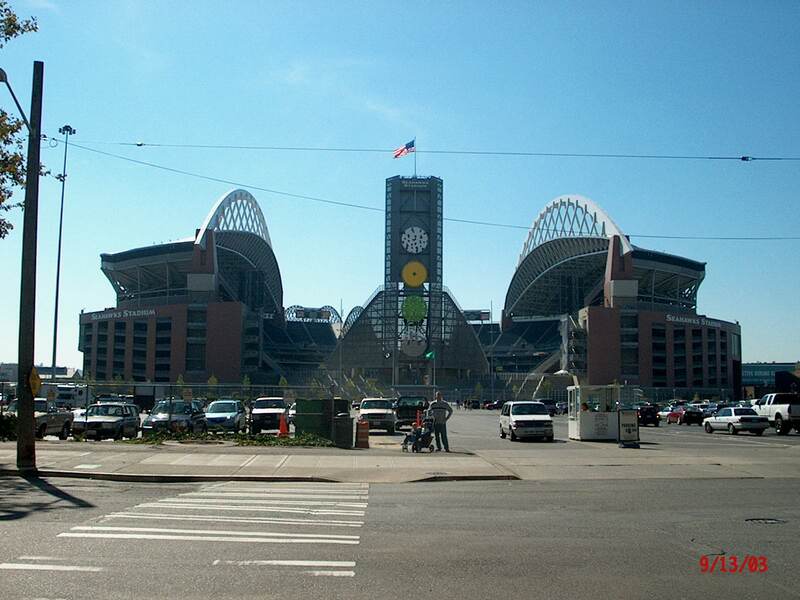 Mariners and Seahawks stadiums stand right next to each other. Beautiful buildings! 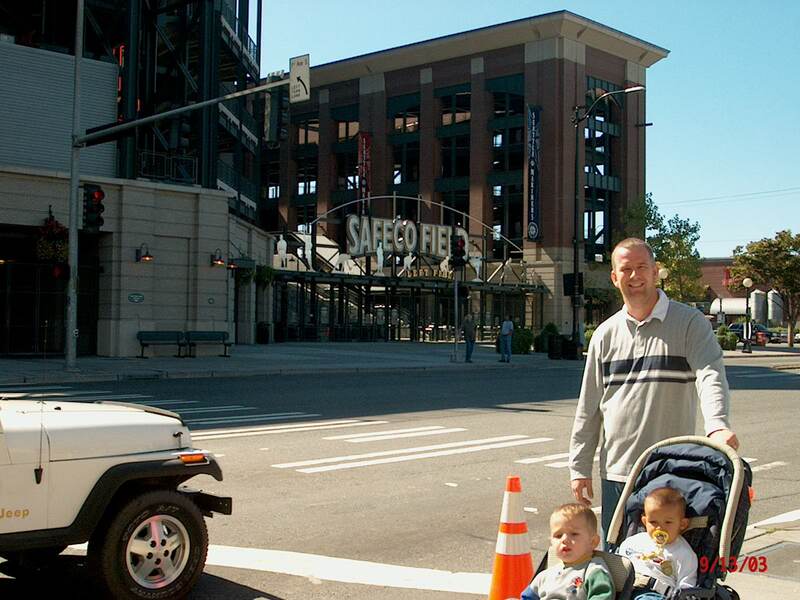 One night, Wayne went to see a Mariners game while I put the boys to bed in the hotel. He enjoyed it and said it was fun. We got to finally appreciate the city of our old dreams. We LOVED it! With it’s lush green areas everywhere, the coffee, the computer giants and the music magic, Seattle is truly just like Oz’s Emerald City! Previous Previous post: Frozen by the beauty of the Jungfraujoch, the Top of Europe. Next Next post: A Pope resigns. A palace and a cave. Enlightened by reality at the Vatican and Jerusalem.